Performance status is an objective measure of how well a person is able to carry on ordinary daily activities while living with cancer, and provides an estimate on what treatments a person may tolerate. Performance status is most often mentioned in the setting of clinical trials, as many trials are designed for people who have only a specific performance status, but is important in the overall care and management of anyone living with cancer. Understanding how well someone will do with treatment depends on the type of cancer, the stage of the cancer, and also on a person's general health and ability to manage their care. To determine if someone is in reasonable health to tolerate treatments such as chemotherapy, surgery, or radiation therapy. With all cancer treatments, it's important to weigh the risks versus the benefits of treatment. For example, there may be times when chemotherapy could reduce rather than increase life expectancy. As selection criteria for clinical trials. Many clinical trials require patients to have a good performance status before trying an experimental treatment. To evaluate an individual's response to treatment. To see if/how a cancer is progressing. To help oncologists understand which patients may require special assistance so that appropriate referrals can be made to improve quality of life. Two primary performance scales are used to measure performance status for those living with cancer: The Eastern Co-operative Oncology Group (ECOG)/WHO system, and the Karnofsky performance score. The first of these ranks performance status on a scale of 0 to 5, and the second on a scale of 0 to 100. Note that these scales differ in whether a lower number or a higher number means better performance status. With the ECOG/WHO performance status, the ideal score zero, whereas with the Karnofsky performance status the ideal number is 100. 0: Fully active, no restrictions on activities. A performance status of 0 means no restrictions in the sense that someone is able to do everything they were able to do prior to their diagnosis. 1: Unable to do strenuous activities, but able to carry out light housework and sedentary activities. This status basically means you can't do heavy work but can do anything else. 2: Able to walk and manage self-care, but unable to work. Out of bed more than 50% of waking hours. In this category, people are usually unable to carry on any work activities, including light office work. 3: Confined to bed or a chair more than 50 percent of waking hours.Capable of limited self-care. 4: Completely disabled.Totally confined to a bed or chair. Unable to do any self-care. Many of the treatments for cancer, whether surgery, chemotherapy, radiation therapy, targeted therapies, clinical trials, or stem cell transplants, can be challenging enough for those who are very healthy at the time of diagnosis. Understanding performance status can help people with cancer and their oncologists weigh the potential benefits and risks of different options. This is even more important now that there are many more treatment choices than in the past. For example, people with lung cancer who have a poor performance status are more likely to experience adverse effects and have a poorer overall survival if they receive standard chemotherapy. In contrast, targeted therapies, when appropriate, are much better tolerated by those who have a poor performance status. When talking about cancer treatment, quality of life issues can sometimes be pushed to the back burner. By routinely measuring quality of life, and noting changes, oncologists can be more aware of problems that are reducing quality of life and recommend appropriate resources. 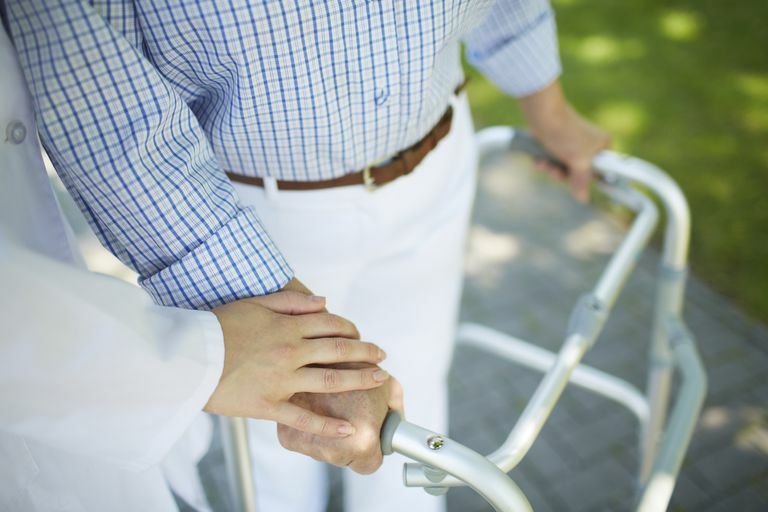 This may include options such as physical therapy, occupational therapy, and cancer rehabilitation (such as the STAR program), equipment ranging from oxygen to a walker or wheelchair, as well as the need for in home health services or a referral for transitional or hospice care. Many people get frustrated with performance status requirements in clinical trials. Why are these so necessary? Doesn't it exclude people who could benefit? There are a few reasons researchers use the criteria of performance status to determine eligibility for entering a clinical trial. One is so that their results are "reproducible." In other words, if another researcher would do a similar trial, it's important to start with people in the same general health condition. Another reason, however, is important for you personally. By recording performance status, physicians are able to monitor the new treatments to see if they have a negative effect on performance status. For example, if people responded to a drug but started with a performance status of 0, which dropped to 2, physicians would then need to consider whether or not the side effects of the treatment justified the positive results they found in treating a cancer. There are many myths about clinical trials. The popular comment about "being a guinea pig" is often said in jest, yet many people do not understand exactly what clinical trials involve or their importance in cancer research. It may help to realize that every cancer treatment available—every drug and every procedure—was once only used in clinical trials, and at that time, the only people who could stand to benefit from these trials were those who participated in the trials. Cancer research is changing. For many years it seemed like a lot of the research was concentrated on phase III trials. These trials are important as they answer the question, "Does this drug work better than another drug," but at the same time, many of the improvements seen were small. A new drug could increase survival by 10 percent. Many trials being done now are phase I trials. These trials in a sense carry more risk as they set out to answer the question, "Is this drug safe," but at the same time are testing drugs which could provide drastic improvements in survival using approaches to treating cancer which are brand new. Drugs such as immunotherapy drugs and targeted therapy drugs often fall into this category. Many people become frustrated with performance status as a low performance status can limit who may be involved in a clinical trial. At the same time, this is a very helpful measure for people living with cancer. After all, what is often most important to people coping with any medical disease is how that condition is impacting their ability to live, work, and enjoy life. West, H., and J. Jin. Performance Status in Patients With Cancer. JAMA Oncology. 2015. 1(7):998. Jang, R., Caraiscos, V., Swami, W. et al. Simple Prognostic Model for Patients with Advanced Cancer Based on Performance Status. Journal of Oncology Practice. 2014. 10(5):e335-e341. Gajra, A., Marr, A., and A. Ganti. Management of Patients with Lung Cancer and Poor Performance Status. Journal of the National Comprehensive Care Network. 2014. 12(17):1015-1025.